Alkaline Diet Cancer Explained – Cancer Cannot Survive in an Alkaline Environment? Cancer Cannot Survive in an Alkaline Environment…Right? This is what we hear all of the time, and in this guide I want to explain everything you need to know regarding the alkaline diet as a means to prevent, and support the treatment of cancer. If you or someone you know has received a cancer diagnosis, you will be well aware that there is a lot of conflicting information out there. Some of it truthful, and sadly some that is more geared towards selling you ‘stuff’. Today, I want to demystify some of the ideas out there surrounding an alkaline diet and cancer. Let me say straight up, however, that eating an alkaline diet (or as I prefer to call it, living an alkaline lifestyle), is a incredibly smart choice for anyone who wants to prevent or support their body in reversing cancer…but there is a little detail to it. So let’s get into that today. Before we go too deep, I want to make sure we’re all on the same page here as to what the alkaline diet is, and perhaps more importantly, what the role or purpose of eating alkaline is, particularly when it comes to cancer. The alkaline diet is focused around consuming mostly alkaline-forming foods and drinks, while eliminating or minimising the consumption of strongly acid-forming foods and drinks (and other lifestyle factors like smoking, OTC drugs etc). Acid-forming foods include: sugar, gluten, processed foods, alcohol, fast foods, takeaways, processed meats, sweets, breads, pastas, pastries, and excessive animal protein and dairy. You don’t have to be perfectly alkaline all the time. Perfection is not the goal. I never suggest you try to only eat alkaline foods all of the time and never eat any acid forming foods – this isn’t the goal. The goal is to be more in favour of alkaline over acid (you’ll understand more why in a few paragraphs). For example, see my post on the alkaline diet and meat here. The goal is NOT TO MAKE THE BODY MORE ALKALINE. This is a super-common misconception (which I go into in more depth here). We are not trying to ‘make the body more alkaline‘. The body will always maintain the very specific pH of it’s various systems, most notably the blood which HAS to stay at 7.365 and always will no matter what we do. Our goal is to simply give the body the foods/nourishment/nutrients (tools) it needs to effortlessly maintain this pH balance. It is the constant bombardment of acid-forming foods that forces the body out of balance and therefore having to go into overdrive to regain that balance, dropping everything and sacrificing our long term health to preserve the immediate necessity for balance that causes so many of the health issues we’re facing today. I’ll expand more on this shortly, but for now, this is critical for you to understand: we are not trying to change our pH, we are simply supporting the body as best we can to maintain it’s critical pH balance. So how can I now say that acidity, or an ‘acidic-environment’ can cause cancer? When we constantly bombard our body with acidic foods and drinks, the body has to use several different mechanisms in order to up-regulate our blood pH to a safe level. This has severe consequences throughout the body (and I will give examples in a second), but remember – the body goes into a complete state of emergency to do this. And within this ‘state of emergency’ it will do whatever it can to get you to that ‘safe level’. It doesn’t need to be back to 7.365…but close enough will do to ensure your body doesn’t go into shock and you die (literally, a blood pH just below 7.3 will rapidly kill you). [+] This ‘close enough’ is known in the scientific research community as diet-induced acidosis. Diet-induced acidosis (or sometimes known as net-dietary acid load), occurs when we consume far more acid-forming foods than our body can appropriately deal with, and it leaves our pH just below 7.365. A pH not low enough to kill us in the minute, but a pH at a level that causes a degree of metabolic imbalance proven to have direct links to cancer. Dr Ian Robey explains it well in his research study “Examining the relationship between diet-induced acidosis and cancer“. The research is clear and compelling. An acidic-diet leads to diet-induced acidosis which increases the risk for several cancers. When you consistently put your body into diet-induced acidosis – things start to break very quickly, and in a multitude of ways. In the past 80-plus years, medical science has proven a clear link between an acidic diet and the incidence of cancer. In one recent study, researchers from the Harvard School of Public Health and the University of Southern California analyzed data from 41,731 women between the ages of 35 and 74, and found that diet-induced acidosis was a significant risk factor for invasive breast cancer. December 2010 and found that those with the lowest (acidic) urinary pH had a far higher incidence of cancer and cardiovascular mortality than those with the highest (alkaline) urinary pH. Thousands of studies have shown the protective effect against cancer of consuming a diet rich in alkaline vegetables and fruits. In April 2017, Chinese researchers conducted a meta-analysis that covered more than 10,000 individuals, and showed that the higher the participant’s vegetable consumption, the lower their risk of renal cell carcinoma. And the link between diet-induced acidosis and chronically elevated cortisol has been proven over and over, and elevated cortisol is perhaps the most common precursor to dozens of cancers including breast, pancreatic, bladder and prostate. This is something I call a “dotted line theory.” It sounds right on paper, but can’t actually be substantiated when it comes to our diet and the foods we eat. 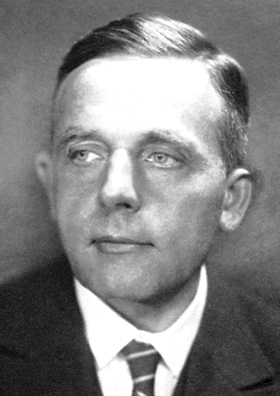 Our friend Otto Warburg wasn’t studying the link between acid and disease to show the benefits of the alkaline diet. He was researching it to expand our understanding of cancer. His research is right—cancer can’t live in an alkaline environment—but this is only relevant in vitro, i.e., in a test tube or outside the body. We can’t re-create the same condition in the body through diet. The body regulates the cells and organs at the exact pH they need to be—the stomach pH, 2 to 4.5; the duodenum and pancreas, pH 7 to 7.5; the small intestine, 7.4; the large intestine, pH 5.5 to 7; lymphatic fluid, 7 to 7.5; gallbladder, 6.8 to 7.5; and so on. By eating alkaline, the body won’t then go alkaline everywhere! If it did, you’d die with a condition called metabolic alkalosis. While it is true that an acidic environment increases the risk of cancer occurring and that eating alkaline is designed to remove that risk, I want to set the record straight about these myths and how all this plays into the alkaline diet. You are not trying to re-create Warburg’s in vitro environment. Eating alkaline won’t make your whole body “turn alkaline” and kill the cancer cells. When you “eat alkaline,” you are giving your body an abundance of nutrients to do the best it can to fight disease. An alkaline diet will support the body in maintaining homeostasis, and within that balance, it will increase its ability to prevent cancer. Simply put, the alkaline diet is an incredibly powerful preventive measure. If you have cancer, it will give your body the perfect environment to rebalance and heal. But it is misleading to say, “Cancer can’t live in an alkaline environment, so make your body alkaline.” It’s not possible to “make your body alkaline,” and saying so opens up the good work of alkaline-eating proponents for undue criticism. Published in: Journal of Nutrition & Metabolism, 2012; 9: 72; Authors: Robey IF. Published in: Journal of Orthomolecular Medicine, Volume 29, Number 4, 2014; Authors: Zeviar, DD, Gonzalez MJ et al. There are so many more, just like this (I’ve included many below in the references for this article), and I am sure you’re getting the picture: diet-induced acidosis increases cancer risk and an alkaline-forming diet reduces cancer risk. 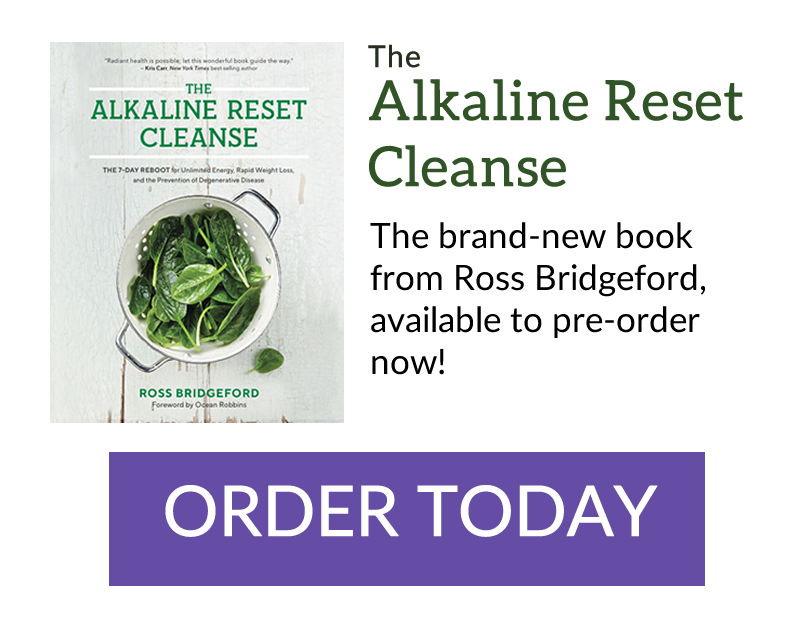 In my forthcoming book The Alkaline Reset Cleanse (due for release late 2018 – you can get on the waiting list to pre-order it here), I introduce my ‘Triple A Model’ to help prevent practically every disease by addressing it at the root cause, focusing on alkaline, anti-inflammatory and antioxidant-rich foods (to prevent acidity, inflammation and oxidative stress). And with cancer this is especially true. Getting a daily dose of natural, whole-food anti-inflammatories is a huge step forward. I recommend turmeric and ginger in particular. If you can get these in daily (I give you a lot of ideas in my Turmeric User Guide here) then you will almost instantly see the benefit. Sayer Ji at GreenMedInfo.com has compiled a huge database on the research into turmeric, and has found some very compelling evidence for it’s use in cancer treatment. You cannot be healthy and dehydrated. It’s just not possible. And the benefits of being well hydrated are huge, noticable and FAST! If you go from not really drinking much water to being properly hydrated, you will see a huge shift in your health and energy within hours, let alone days! However, so few people do it. Why? I believe it is because it is so simple…so simple it gets ignored or forgotten. Proper hydration is one of the cheapest, easiest ways to shift your alkalinity, and amplify your health and energy. In my alkaline diet cancer plan I insist you take hydration seriously. There are various calculators based on body size, type, temperature of where you live, physical exertion and all sorts of other variables, but it works out that most people should be drinking between 3-4.5 litres (100-150 fl oz) of filtered water per day. There is practically nothing more cancer-protective on Earth than leafy green foods. They have been proven beyond all doubt to be hugely beneficial to protect and reverse cancer, and yet sadly so few people are getting even nearly enough. One of the mantras of my Alkaline Base Camp membership is “7 Serves of Greens-Per-Day” and when you stick to this your life will never be the same again. Getting in a daily green juice or smoothie is without doubt the easiest way of doing this. For juices think celery, cucumber, spinach, kale, parsley, cabbage, broccoli, lettuce, watercress…any greens you can get in there the better. And for smoothies, it’s much the same, but add avocado, nuts, coconut oil, chia seeds and other healthy fats too! As mentioned earlier, my model of the Triple A is hugely cancer protective, and the ‘antioxidant’ part of this is so critical. We’ve talked about imbalance and balance earlier in this guide and cancer often emerges from a state of imbalance in the body. While we’ve focused moreso on the pH imbalance, an imbalance of free-radicals in your body is a common way cancer can get a foothold. The body needs some free radicals, but due to our acidic, modern diet and lifestyle, most of us are overrun. A diet full of antioxidant-rich foods such as capsicum/bell pepper, beetroot, carrot and more will give your body a huge source of anti-cancer antioxidant supernutrients. One of your best weapons to help your body buffer excess acidity, is to give it a direct source of alkaline minerals. Think sodium bicarbonate, magnesium, potassium, calcium, zinc, iron and more. If you have a good source of these from your diet you are going to be feeling amazing, but it can be hard to consistently get enough of each of them. This is one area that I do recommend a supplement, particularly to focus on the sodium, potassium, magnesium and calcium – known as the four alkaline mineral salts. There are some great products out there, and I particularly love Daily Minerals from Alkamind and pHour Salts from pH Miracle. Finally, I strongly urge you to focus on getting plenty enough healthy fats every day. We’re talking omega 3 and saturated fats from coconut. These healthy fats are so cancer-protective and critical in so many of our body’s important balances and processes, you simply cannot be healthy if you are deficient. Get plenty of coconut, flax, chia, avocado, leafy greens, almonds, cashews and so on, but this is another area that I do recommend a supplement. Getting enough coconut oil is easy enough (you can simply add a tsp to your cooking), but omega 3 can be a bit more tricky, especially to do so every single day. So I recommend investing in a good quality omega 3 such as Nordic Naturals or Alkamind’s Daily Omega 3. If you are concerned about the ‘saturated fat myth’ (i.e. the ongoing nonsense that it is bad for you) I recommend checking out my guide here on saturated fat and Mercola’s rundown on the saturated fat warnings. Whether you’re wanting to take the proactive steps to protect yourself and your family from cancer, or you have had a diagnosis, are in remission or have had a reoccurrence, I believe that focusing your diet on alkaline-forming, fresh, anti-inflammatory, antioxidant-rich foods, foods that are natural and as unrefined as possible, will give you a huge advantage. Of course, every body and every situation is different and I (nor should any one) am in no way saying ‘do X and you will cure Y’, but I believe that the body knows how to heal and regenerate, and if we give it all the tools it needs to thrive, it will repay us with interest. My Alkaline Starter Pack here, which includes the full Acid/Alkaline Food Charts and 12 Starter Recipes is a great place to kick off. Watching The Truth About Cancer! The very best thing you can do is educate yourself, and I believe that the single best educational tool out there when it comes to cancer is the Truth About Cancer’s free docu-series called “The Truth About Cancer: A Global Quest“. You can watch the trailer for the series here and sign up for it here or directly below the video. It’s totally free and starts on the 9th October 2018. I have personally never seen such a well-researched, well-rounded resource for cancer anywhere else in the world, and that they give it away for free is simply phenomenal. So Many Deaths from Cancer Are Preventible! I find it shocking that in the USA (the stats are similar in the UK, Australia, NZ, Canada etc) over 67% of deaths each year are from just cancer and heart disease – which over half of both a preventible through diet and lifestyle choices. We could, with proper lifestyle choices, be preventing millions of deaths (and the pain leading to them) and improving the lifestyle of millions more every year. And releasing a huge burden on the healthcare system. Saving trillions of dollars. And this isn’t to point the finger or judge. It’s to say we HAVE got a say, and we do have the power to be in control. When I talk to people about cancer, the overwhelming emotion I see is helplessness. People feel like it’s something that just happens to them. And in a lot of cases, of course this is the case. But in over half, we are in control. And my gut feeling is that if we were ALL, as a population, more healthy and dare I say it, alkaline, the NON-preventable cases of cancer would decrease too. So I want you to know now – you should feel empowered. You CAN reduce your risk significantly. You can protect yourself and your family. And if you are unfortunate to be in a position of having a cancer diagnosis now, you can seriously support your body in recovering and getting back to it’s bright and energised best. I hope this guide acts as inspiration for you and motivation, and makes you feel empowered. Bahrami et al., “Inflammatory Markers Associated with Subclinical Coronary Artery Disease: The Multicenter AIDS Cohort Study,” Journal of the American Heart Association (June 2016). Brüngger et al., “Effect of chronic metabolic acidosis on thyroid hormone homeostasis in humans,” American Journal of Physiology (May 1997). Karim et al., “Renal handling of NH4+ in relation to the control of acid-base balance by the kidney,” Journal of Nephrology (March 2002). Maximilian Zeyda and Thomas M. Stulnig, “Obesity, inflammation, and insulin resistance—a mini-review,” Gerontology (April 2009). Park et al., “Association between the markers of metabolic acid load and higher all-cause and cardiovascular mortality in a general population with preserved renal function,” Journal of Hypertension Research (March 2015). Ribeiro et al., “Buffer therapy for cancer,” Journal of Nutrition & Food Sciences (April 2012). Zhang et al., “Consumption of fruits and vegetables and risk of renal cell carcinoma: a meta-analysis of observational studies,” Oncotarget (April 2017). NOTE: The information on this website is for informational and educational purposes only. It is not an attempt by the writers or publisher to diagnose or prescribe, nor should it be construed to be such. Readers are hereby encouraged to consult with a licensed health care professional concerning the information presented, which has been received from sources deemed reliable, but no guarantees, expressed or implied, can be made regarding the accuracy of same. Therefore, readers are also encouraged to verify for themselves and to their own satisfaction the accuracy of all reports, recommendations, conclusions, comments, opinions, or anything else published herein before making any kind of decisions based upon what they have read. If you have a medical condition, please consult your medical practitioner.